Today is the last day of Blaugust Reborn and assuming that nothing went wrong with scheduling I’ve met the goal of publishing a post every day. Yay! It was a very interesting, fun and also challenging experience. Until July 31st I had published one post every 9,5 days on average. Going from there to one per day was a steep slope, and I had to leave my comfort zone in more than one regard. I once said that I deem most things happening to me not worthy to be written about. This hasn’t really changed, so I had to overcome the fear of writing something completely trivial that’s just wasting my and any potential reader’s time more than once. When I look back at those 31 posts I luckily can’t find one that I feel wasted at least my time. I don’t know about yours of course. Not all posts quite meet my standards though (had I had the time I’d thought of a better title for some posts for example), so the pressure of having to meet the deadlines was indeed noticable. Another thing I had to learn was to refrain from writing until I’m ’empty’, cramming everything I have to say about a certain topic into one post. Indeed it does, and it’s actually a good thing. Not only does it leave something to write about for another time, I feel it also makes for posts that are much easier to read and digest (I wish I had already known this when I wrote this 3,400 word extravaganza). Now, where do I go from here? I know that I’ll continue to write, and of course I’ll also continue to read the blogs of many fellow Blaugustans, some of which I probably wouldn’t have discovered without this event. I won’t keep posting every day though. While it obviously isn’t impossible it was quite a strain sometimes, and writing is supposed to relax and not stress me out. I will start to post with some kind of regularity, something I didn’t do before Blaugust, so that readers will know what to expect. I’ll make it my goal to post at least once a week, twice if I have more to talk about. The first post after this one will appear on September 10th at the earliest though, because we’re still on internet-free vacation until the 9th. In closing I’d like to say Thank You to all of you once more. Thank you for reading my stuff, for commenting, liking and for coming back. Thank you for writing so many wonderful, insightful, delightful and awesome(ful) posts. Above all thank you Belghast for reviving this great event and doing the heavy lifting for all of us. While good gameplay is always much more important to me than fancy graphics I too like eye candy. Who doesn’t? I also like to have mementos of my adventures so I can revel in nostalgia later. Combine the two and it’s no wonder that I take lots and lots of screenshots. Today I’d like to share some highlights. As always, click to enlarge. This is the city of Calpheon in Black Desert Online. 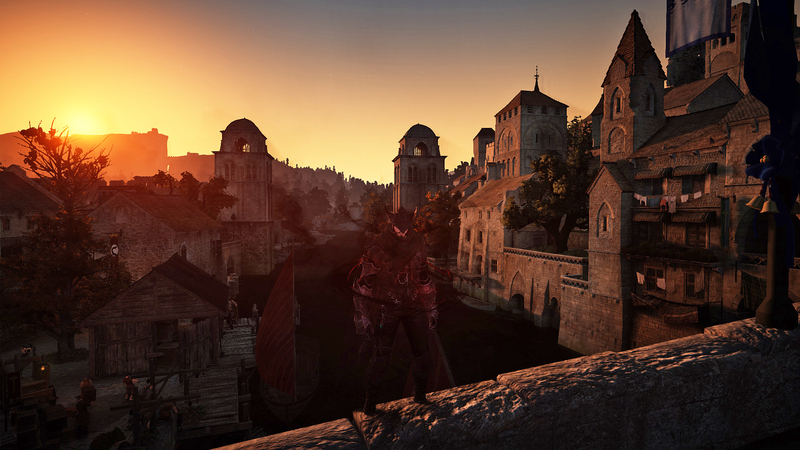 It’s the most realistic depiction of a medieval town (as I imagine it) I’ve seen in a video game to date, and it’s especially beautiful at dawn. 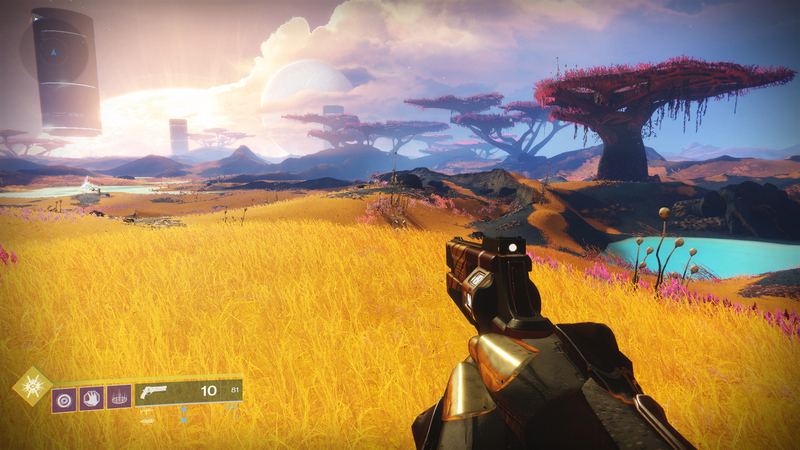 Destiny 2 is a good looking game for sure. This was my favourite vista. 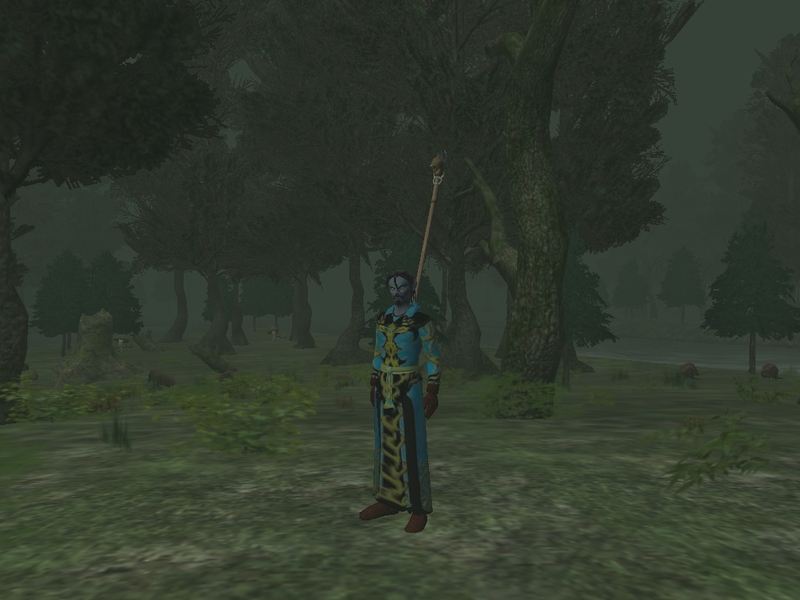 Another shot of Everquest II’s Obol Plains. Not bad for a 6-year-old zone in an almost 14-year-old game. 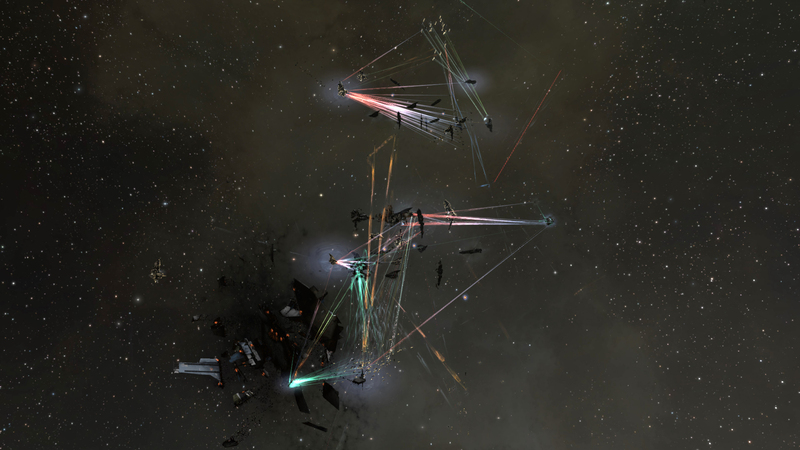 Multiple fleets are fighting here in EVE Online, with Lakisa and myself right in the middle. Doesn’t look like death and destruction from afar, does it? 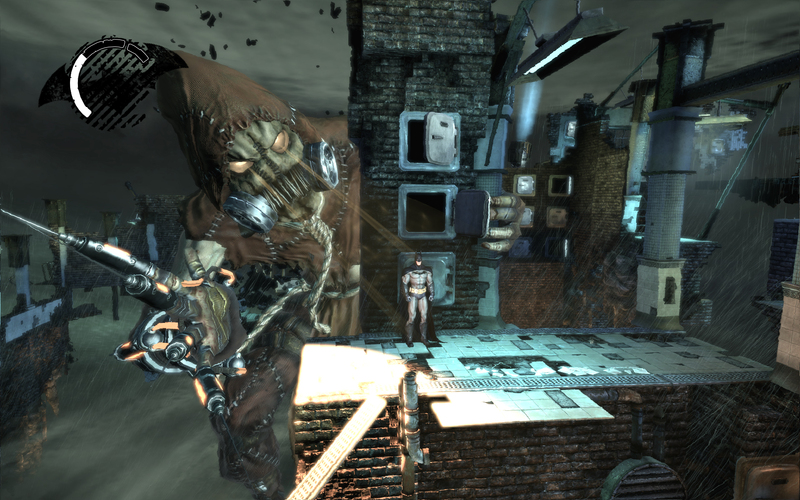 The Scarecrow levels in Batman: Arkham Asylum were really special, gameplay- as well as graphics-wise. Damn, now I’d really like to play it again. 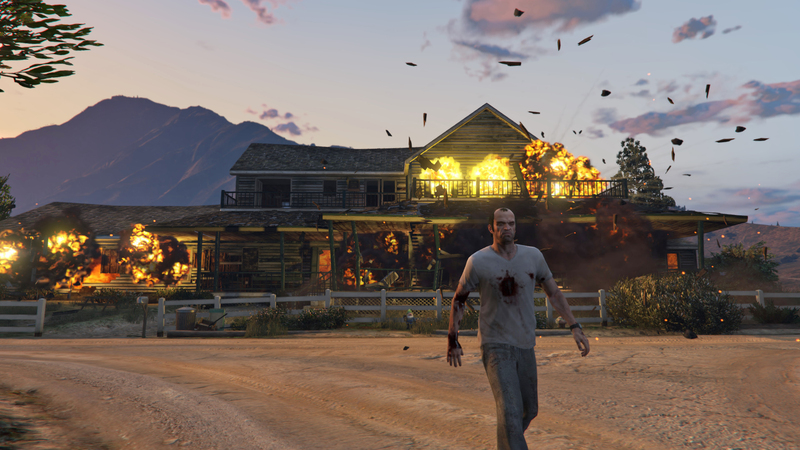 And what could be a more fitting shot to end this post than Trevor’s supercool Unflinching Walk from GTA V? Long running online games have a problem franchises like Call of Duty or Gran Turismo don’t: they can’t as easily re-release themselves with a new graphics engine every couple of years. This leads to these games becoming less and less likely to draw in new players because in addition to not being the new hotness they also look more and more dated in comparison. Developers try to tackle this with little tweaks and upgrades to their graphics that make the games look slightly better without needing a whole new engine. 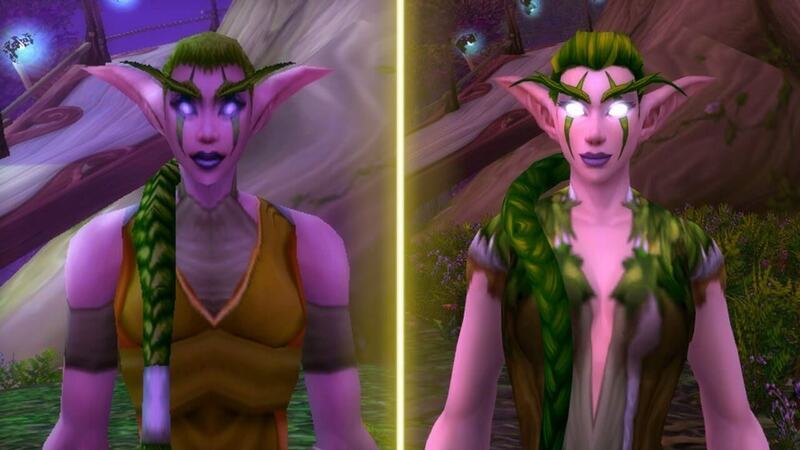 WoW has done this for example, and the difference between vanilla (2004) and Legion (2016) is quite noticable. Noticable, but not groundshattering – at least not on screenshots, and I haven’t seen it ingame. 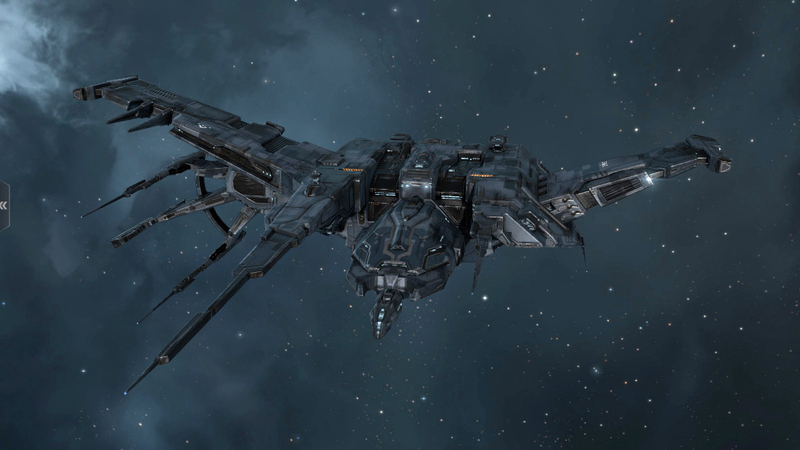 What I do have experienced myself are the changes to EVE Online over the years, and those are pretty huge. I didn’t actually realize how huge until recently. It’s funny how quickly you get used to the new state of affairs after something changes, and soon you’d swear it had always been this way. Holy crap, what the hell is THAT? Seriously, I had no idea anymore that the game looked like this when I started to play. In fact I was already playing for almost two years when I made that picture. And I clearly remember thinking that the game looked pretty great back then. That’s how much our perception changes with the times and everything we see and experience. 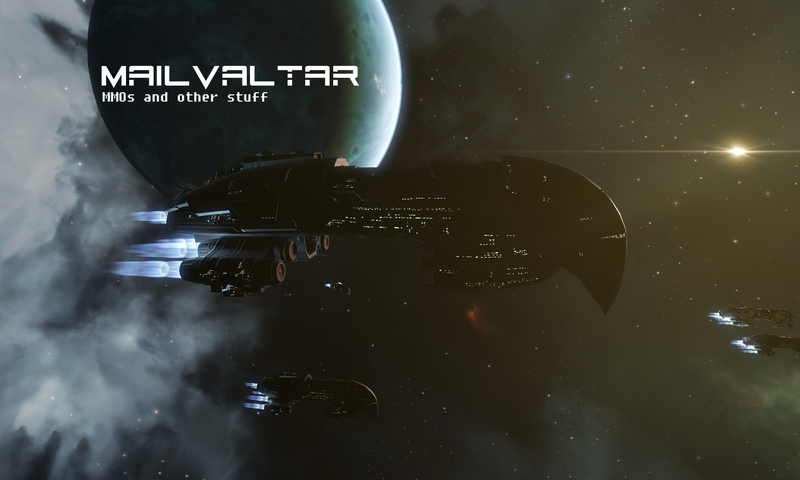 Kudos to CCP for putting in the effort, and thanks for another reminder that not everything was, in fact, better in the old days. I’m not a huge fan of live albums in general. Being an extreme creature of habit, once I’m accustomed to a piece of music I like it just the way it is and don’t want it any different. Live music is by nature almost always different, and when it isn’t there’s no real point to it unless you’re there when it happens and it’s all about savouring the performance. There are exceptions though, and this is one of them. While Dimmu Borgir were always frowned upon by many ‘true’ black metal believers I instantly became a fan of theirs when I listened to their album Stormblåst in ’96. What really blew me away was their next release, Enthrone Darkness Triumphant, which remains one of my most beloved albums to this day. My favourite music genres have always been metal and classical (symphonic) music. To me Enthrone was, at the time, the best and most sophisticated symbiosis of those two. For that to work a great sound is needed, and it didn’t disappoint in this regard either. Since then they’ve constantly refined their style, which I would call Symphonic Black Metal. For the recording of their album Death Cult Armageddon they used a real orchestra, the Prague Philharmonics, for the first time. This again elevated their compositions and sound to a whole new level. In 2011 they collaborated with Kringkastingsorkestret, the Norwegian Radio Orchestra and Choir, for a live show in Oslo. 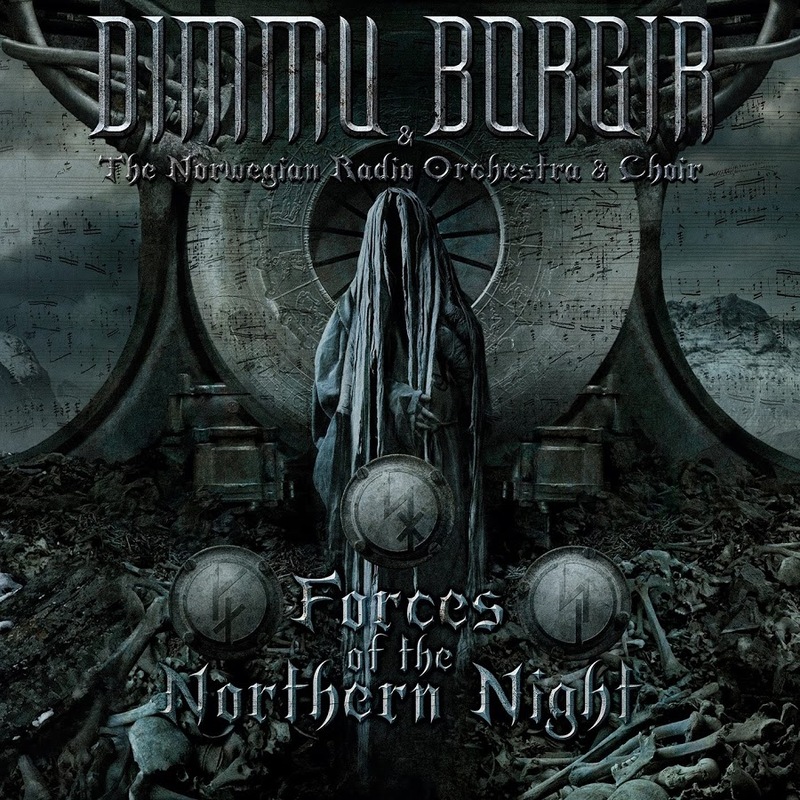 With Forces of the Northern Night they released the recording of that concert as well as the same show with different orchestra and choir at Wacken Open Air 2012. I highly recommend the earbook, which consists of two Blu-rays, two DVDs, four Audio CDs and lots of large format pictures. At Nuclear Blast Germany it’s heavily discounted, I assume that the Blu-rays and DVDs aren’t region free though. The CDs are fine, with great sound and a good song selection. The video discs are where it’s at though. Watching them is obviously not as great as it would have been to see it live in Oslo or at Wacken, but it’s pretty close. The picture quality is superb, as is the 5.1 audio mix. They didn’t make the mistake (as is sadly often the case with surround mixes of rock and metal music) to route bassdrum, snare drum and vocals to the center speaker. Everything that’s ‘metal’ comes from the much more powerful main stereo speakers here, orchestra and choir are spread out over all front speakers and the crowd ambiance comes from behind. Perfect! The stage setting is well thought out and I’m very pleased that neither camera work nor editing are as hectic as many other metal releases I’ve seen. I’ve not watched the Wacken gig yet, but the Oslo show is already enough for me to rate this release 10/10. Song recommendations: Progenies of the Great Apocalypse (I’d buy it again for this song alone), Vredesbyrd, Gateways. My participation in Path of Exile’s current challenge league, which ends today, can be broken up into three parts. A pretty active first month, a considerably slower second month, and a third and last month where I played just a little bit and then quit mainly in favor of Everquest II. It’s not that I didn’t like the new league mechanics. In fact I think they’re pretty great and I’m glad that they’ll add it to the core game. My only wish would be that they dial back the RNG aspect of it, because as it is you don’t really have that much influence over how the finished temple turns out. As for progression, not much has changed since last time obviously. I’ve completed one more challenge, that’s it. That’s ok though, since I wasn’t going to get the portal effect anyway. So this was Incursion. In merely four days the next challenge league will already start: Delve. This looks very promising too, and they’ll also release a ton of other improvements alongside it. I’ll pass though. Everquest II demands my full attention right now, but even if it weren’t I’d not be willing to start PoE from scratch yet again so soon. I’m sure these mechanics will end up being added to the base game too in the end. I’ll return to PoE, that much is certain. It’s an outstanding game and I like to play it very much. This is no farewell, I’m just taking a break. Actually I’ll be taking a little break from all kinds of online gaming starting tomorrow, as we’re going on an internet-free vacation. 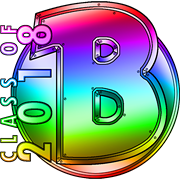 I’ll have posts scheduled for the rest of Blaugust of course, but after that there’ll be radio silence until at least September 10th. Sorry in advance that I’ll not respond to any comments until then. See you soon. 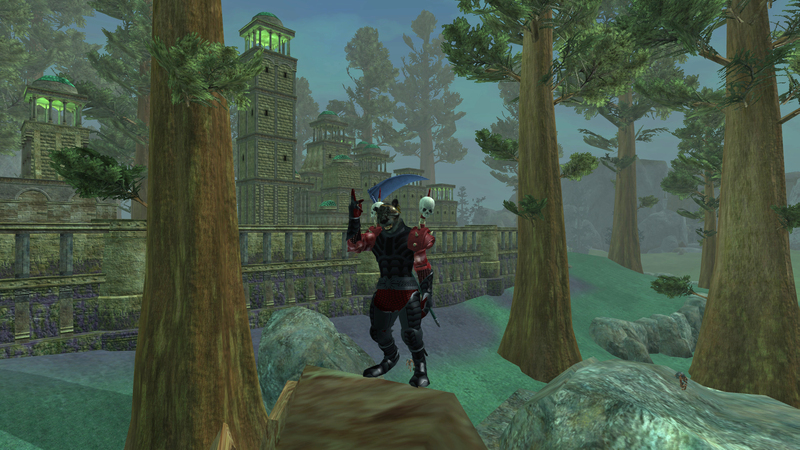 Everquest II has so much to do and so many places to visit that it can be hard to know where to even begin, especially if you’ve missed years and years of added content like I have. What I’ve always done to deal with that is to set myself an objective like ‘I want to level up this character a bit’ or ‘I need to acquire the tier 8 advanced tradeskill recipes’ and use sites like Allakhazam or the Wiki to find out where to begin. Once I get going the game does a good enough job to guide me onward from there. This is exactly how I ended up in Obol Plains for the first time. I’d leveled my carpenter to 95 already but was still missing all advanced recipes from 90 up, some of which you get there as quest rewards. My jaw dropped quite a bit when the veil (i.e. loading screen) lifted. 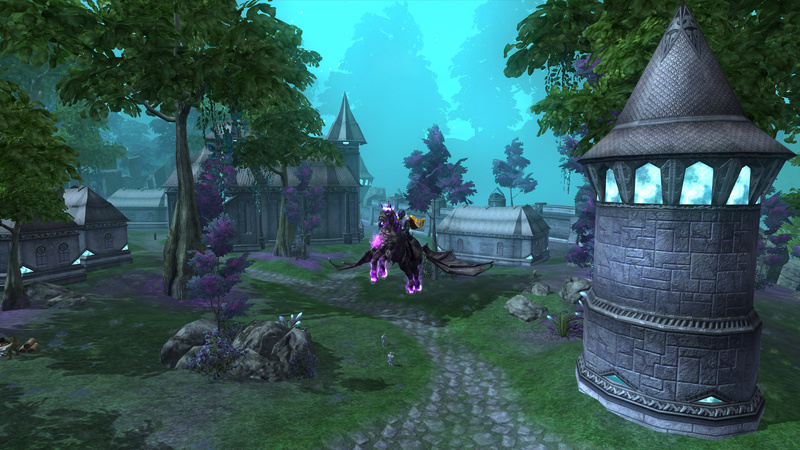 Bhagpuss mentioned a couple of times how much better the newer zones look, and he’s damn right. 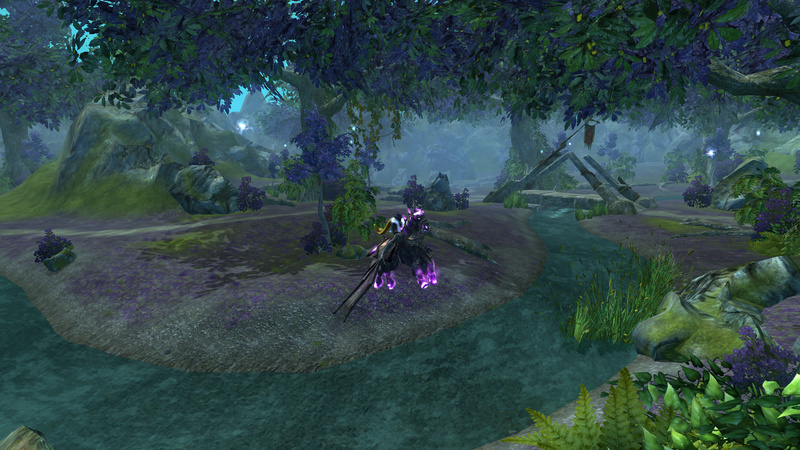 While this zone is already six years old (in relation to EQII ‘new’ is a quite relative term) it looks stunning. What totally blew my socks off though is the fact that this is actually the afterlife’s version of a zone I’m very familiar with: the Loping Plains. I only realized it when an NPC told me that this is the Ethernere and what I see before me is the Loping Plains how they should look like, or something along those lines. I don’t quite know what’s going on there yet. The zone layout is very similar indeed, it just looks completely different. What you see up there is the Obol Plains’ counterpart of the Village of Somborn. Wait a minute, does his presence here mean that he’s dead? Too good to be true…just kidding. Qho Augren is one of those NPCs they totally nailed insofar that he’s annoying as hell, yet you’re really happy everytime he’s got a new quest for you. He made me chase him around quite a bit, so I also got to see Eidolon Jungle, the second zone introduced with the Chains of Eternity expansion. This, too, is the afterlife version of an old zone: The Feerrott. Again the zone layout is similar, but the look is very different. 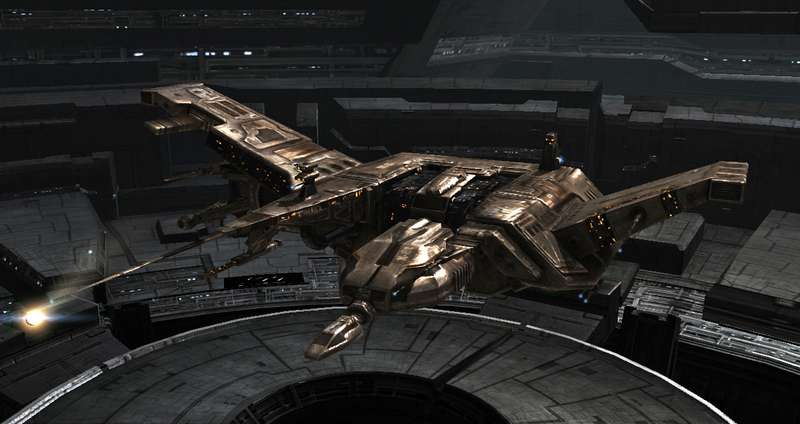 And, like Obol, it’s absolutely beautiful. Same zone, different color scheme. These transitions were introduced way back with Rise of Kunark. 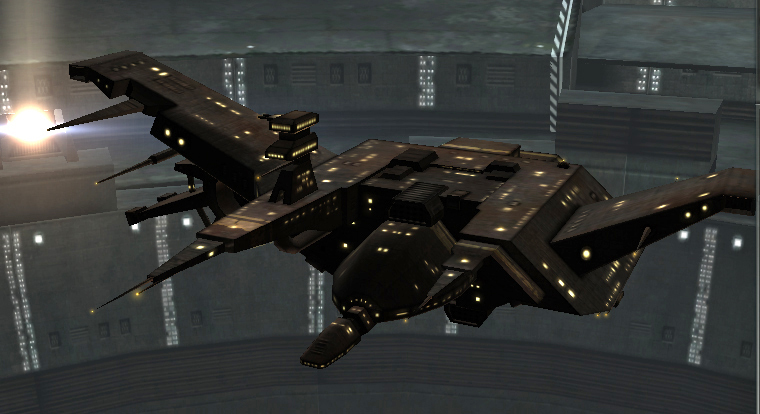 And here the Feerrott in comparison. One might argue that this is lazy game design, but I’d have to disagree. It’s obvious that all assets had to be made from scratch. The placement of mobs, NPCs and the like is also different, so I don’t think this saved the devs much work compared to designing completely new zones. And I really like this from a lore perspective. I’m actually curious how the quests here will unfold and what the implications for the original zones might be. Great stuff!